How accurate is the Tuxedo Mask “My job here is done” meme? You have probably seen this meme somewhere on the Internet! 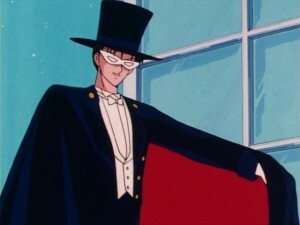 Tuxedo Mask states “My job here is done” to which Sailor Moon replies “But you didn’t do anything”. This lends itself well to a variety of humourous situations in which a person claims to have done something and really did nothing at all. Very funny, but just how accurate is this meme in the first place? There are really two things to ask ourselves here. The first is whether or not anything close to this exchange ever took place in the show and the other, more general idea, is whether Tuxedo Mask does indeed do anything with his interventions. Let us first look at the scene in question. The images we see in this meme are from the first episode of Sailor Moon “The Crybaby: Usagi’s Beautiful Transformation”. Tuxedo Mask says something to Sailor Moon after her battle with Morga and then departs. Contrary to what the meme states he does not actually say anything which resembles “My job here is done” or “My work here is done”. This can be a bit tricky as there are so many versions of Sailor Moon and its dubs, so let’s look at a few. With Sailor Moon first coming into popularity in North America in 1995 the version most Internet users and casual fans are likely to be familiar with is the DiC English dub. In this version he states “You have done well Sailor Moon and now Molly’s mother and all the other women are free. Others will test you. Do not be afraid. I will fight with you.” to which Sailor Moon responds, after he’s gone, “What a hunky guy”. Note that the response isn’t from the image used in the meme but is said when she has hearts in here eyes moments later. Sure, you may be saying, but that’s the horrible butchered DiC dub which committed various atrocities to my childhood and humanity! Let’s look at the original line then. This scene appears in the manga, in the original Japanese anime and in Sailor Moon Crystal. It has been translated more or less faithfully a number of times and always gives roughly the same idea. The recent more accurate Viz dub has Tuxedo Mask saying “Well done Sailor Moon. I won’t soon forget what happened here tonight.” to which Sailor Moon responds “He’s so cute”. The subbed version is essentially the same. The manga version is a bit different as there was no rose thrown and Tuxedo Mask actually didn’t do anything, though again there is no dialog which resembles the meme at all. In no version does Tuxedo Mask actually say “My job here is done” or anything like it. Sailor Moon similarly doesn’t respond that he didn’t do anything but this is hardly a surprise as this unexpected response is more meant to be a mocking of what he did rather than what she actually said. Next then we should look at whether in this episode in question and the series as a whole, Tuxedo Mask actually does anything! In this particular scene the dialogue follows Sailor Moon’s fight with Morga. While Sailor Moon is fighting she is backed against a wall with a bunch of brainwashed jewelry store clients marching against her. Morga extends her claws to Sailor Moon, ready to strike her with a deadly blow. All hope seems lost when … a single rose flies in front of her distracting the enemy. Sailor Moon then cries which causes this amplified sonic attack which is not used again until Sailor Moon SuperS. Luna then tells Sailor Moon to use her tiara which defeats the enemy. 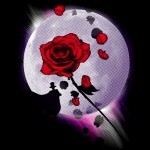 Would Sailor Moon still have had the time to use her sonic attack without Tuxedo Mask intervening? It seems very unlikely. 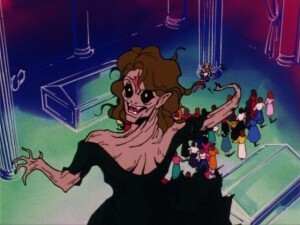 The image of Morga reacting to the rose shows that her hand was just in front of Sailor Moon and it seemed unlikely she would have had time to launch her sonic attack. It isn’t terribly fair to say that Tuxedo Mask didn’t do anything in this scenario. He caused a momentary distraction which allowed Sailor Moon to get the upper hand and use her own power to save the day and this is close to how that interaction usually occurs. Had he not been here would Sailor Moon have been killed by Morga? Who knows. Perhaps Sailor Moon would have died and then reincarnated through some plot device. Perhaps she would have cried which caused the light of the Silver Crystal to scare off Morga (though the Crystal in this continuity is split up into seven Rainbow Crystals with Sailor Moon’s tear being the catalyst to bring them together). Perhaps Luna would have sacrificed herself by putting her body between Sailor Moon and the attack, as she does when Fiore tries to kill Sailor Moon in Sailor Moon R The Movie. Lots of options but, generally speaking, it seems like his intervention did in some sense save Sailor Moon here. In general Tuxedo Mask usually does about the same thing. The monster shows up and things start to get a little tense when a well timed rose shakes things up enough for Sailor Moon and her friends to get their footing and deal a finishing blow to the enemy. Without Tuxedo Mask perhaps some of these close calls would have gone the other way leading to Sailor Moon losing instead of winning some of these close fights. Still Tuxedo Mask has no attacks in the original anime. He fights with roses and a cane which are not terribly lethal and at best helps to give the upper hand rather than actually defeating the monster of the week. All said this is Sailor Moon’s show. She is the strong capable superhero and is not your typical damsel in distress in constant need of saving. 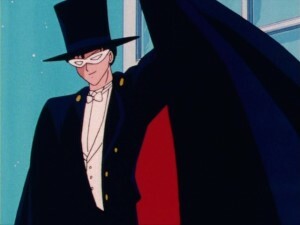 Tuxedo Mask comes in with a quick assist from time to time but he’s not scoring the game winning goal. It’s an odd state where he is made to be protecting Sailor Moon and saving her without doing most of the heavy lifting. This is a tough line to walk and likely an intentional one. Sailor Moon is a role model and inspiration to viewers. She has strength and power of her own and is not helpless next to the man who protects her. Still Tuxedo Mask is the valiant and courageous love interest who protects and helps her because that is a sort of archetype which is appealing to the viewer. Sailor Moon herself is impressed with how he wants to protect her. Tuxedo Mask’s name Mamoru even means “protect” in Japanese. The manga and anime really do try to have it both ways by having Tuxedo Mask protect and rescue Sailor Moon but also have her be strong on her own. This is a hard balance to get. I have certainly heard criticism that Sailor Moon is a damsel in distress but I don’t think this is accurate. She really is strong and really does fight her own battles and Tuxedo Mask does the minimum needed to be the dashing protector and saviour while still making Sailor Moon’s victories her own well earned accomplishment, not to mention Sailor Moon getting along just fine when Tuxedo Mask is busy being evil, a bad boyfriend, injured or dead. With that I’d say the meme is certainly funny and I understand how in some fundamental way it strikes a cord but ultimately I don’t think it accurately reflects the dynamic between the two. Tuxedo Mask does something. He doesn’t do much and he doesn’t do enough to take away Sailor Moon’s spotlight but he’s a worthwhile low powered sidekick who provides well timed distractions and words of support when they are needed. Beyond that he doesn’t take credit for being the victor in battles which he isn’t actually winning. What do you think? 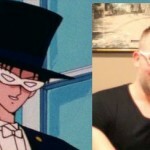 Is Tuxedo Mask a useless blowhard who takes credit when nothing is done? Is he a harmful stereotype teaching girls they’re damsels in distress who can’t do anything on their own? Am I overthinking this harmless joke? 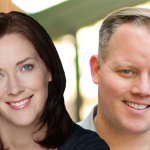 Toon Makers’ Sailor Moon’s Queen Beryl, Tuxedo Mask and … Rhett Butler? This entry was posted in Sailor Moon Anime (1992) and tagged DiC/Cloverway English Dub, Memes, Morga, Sailor Moon, Sailor Moon Episode 1 - The Crybaby: Usagi’s Beautiful Transformation, Tuxedo Mask by Adam. Bookmark the permalink. You’re probably overthinking it, but whatever. It’s still a funny meme. I’m a big fan of overthinking things. Before 2019, will we get information about the 2 Sailor Moon Crystal movies? Haha yes, you are right indeed! Well, I guess it’s enough for Usagi to remove evil from the streets . Moon Healing Escalation all of those dirty dishes. But Mercury and Neptune can do that faster with their powers . Sure if you don’t mind a few cracked glasses! Shabon Spray might work pretty good. It makes a great shampoo! A shampoo that dyes your hair in blue . Personally, I like that you’ve taken the time to break this down! I think most long-time fans know the score which makes the meme funnier in a way. But, it’s nice for those that have forgotten or are more ensconced in the fandom jokes than the actual canon to be reminded of his true and much more nuanced role. 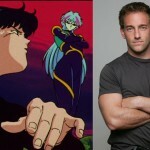 It’s easy to focus on either extreme of what he’s there to do for Sailor Moon (protect/save vs not get in the way) and in my opinion, both have done some long term damage to his reputation in the wider and especially casual parts of the fandom. But in the end, it’s still just a meme and it makes me chuckle to imagine Tuxedo Mask saying such a thing :p.
Tuxedo Mask only has one attack in the manga which is tuxedo bomber. He probably knew he wasn’t as good of a fighter as sailor moon without his sword but providing a distraction to the enemy has always bought enough time for sailor moon to get out of trouble. Plus their love made a rod together!! Actually, he uses Tuxedo La Smoking Bomber a lot in the comic books, and has many other powers as well (which makes sense, since he’s the equivalent of Sailor Earth). But even in the books his role is definitely a “support” role–which was intentional of course, since Takeuchi was turning the “damsel in distress” thing on its head. Manga Tuxedo Mask quickly becomes somewhat self conscious about how powerless he is next to Sailor Moon but seems to come to terms with his role. I love that aspect of manga Tuxedo Mask! His vulnerability is a powerful moment. I always hate it when people slam Sailor Moon and Tuxedo Mask’s dynamic from a feminist viewpoint. Usagi starts out weak, which is no surprise, since she is only 14 and has never had any real danger in her life up until that point. She grows stronger, braver, has failing and faults but overcomes them. She doesn’t need to be Wonder woman out the gate! As for Tuxedo Mask always saving her, it’s more he’s just supportive. Sure, sometimes he steps in and gets physical when she needs the help, but then, Usagi does the same thing for her friends. It’s the same thing when people judge Usagi’s dreams or femininity harshly. Just because she doesn’t have dreams to become a doctor (like Ami) or something more powerful does not invalidate her dreams of being a bride. Sure, she is a bit immature with how she views love at the start, but she’s actually portrayed pretty realistically to some girls. 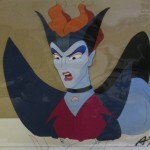 Besides, in the end she does become Queen of the freaking Earth if not the entire Solar System! So take that, detractors! While Tuxedo Mask does come off as gimmicky in the anime sometimes and is often played for laughs, he compliments Usagi in a way I think few other heroes do. Yes he is important, but as you said, Usagi, at the end of the day is winning her own battles. “My job here is done!” flourishes cape and jumps out window. Well said. To me good feminism doesn’t tell girls and women what they should aspire to but support their choice to do whatever they want to, whether that goes against or with expected norms. Characters in the show are all over that spectrum choosing thing which are more or less common for women. Given it comes out of Japan, a country which I feel has some pretty strict gender roles, I think the show is quite progressive. Indeed it is a tricky line to play around with. One would want to encourage women to pursue careers as they wish and feel professionally satisfied by this and to have the economic options that anyone would. Forcing women not to take leave doesn’t seem to be the solution to this. Having employers being flexible to work/life balance, flexible hours, having strong parental leave and not having these affect their professional lives seems to be a good evidence based way to support women’s careers while still allowing them to chose family priorities if they wish. As a father myself I strive to do my fair share of the parenting responsibilities including having taken the majority of parental leave for my daughter and planning to do the same for my son. That’s not to say that forcing fathers to take leave is the solution either, it’s just nice to have the option. In my case I had better benefits and ability to take the time so it made sense. I really dislike when the government gets involved in those areas of a persons life. What Belkacem did was not pro-feminism, it was pro-forcing her own ideals onto other people and that’s just wrong. I wonder how Usagi would feel about her? I believe empowering a woman (or a man!) to live the kind of life they want, if it’s not detrimental to society or illegal or anything, is best. And I’m glad to hear that Adam takes parenting seriously. Haha, good point! I alwyas kind of liked to think that people were so grateful to her that they kind of declared her queen. But I guess we never get any confirmation on that or what happened really. I don’t think Chibi-Usa and Hotaru really discuss their dreams. But all 10 of the girls are Sailor Warriors who fight demons and defend the earth. 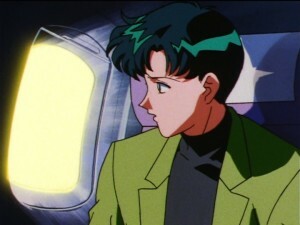 While Usagi, Minako and oddly enough, Makoto all do have stereotypical feminine dreams, the other girls hit in everything from typically masculine to everything in between. And none of it ever feels forced or preachy! I enjoyed this breakdown of the meme! *Sigh* It got me tenderly nostalgic, too. This isn’t a show I’m familiar with. Have a link to the video or was it on TV? That would be funny for the fan made Abridged version. I can but agree with that (and with what Noname9q wrote down below). Plus Sailor Moon is the hero, the only one able to save the day and to wake the Moon Princess up, so if she always had to be the “damsel-in-distress” that Tuxedo “Superman” Mask always has to save, then there would be no meaning to the manga and the anime at all. Sailor Moon would not be Sailor Moon! 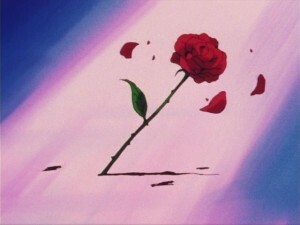 Tuxedo Mask knows, deep inside him, that his only role is to help Sailor Moon like he does, that is to say, by supporting her and helping her by throwing roses to create diversion. Also, at this time of the story, he doesn’t even know who he is, and that he has powers. So how could he do more for Sailor Moon, knowing that he can only do little for himself? People should really stop imposing Western believes in non western productions. Like feminism or body positivity – Japanese women are quite independant, obesity there is not a problem, so of course they won’t back it. American people tend to be too sensitive and sometimes it is amusing from an outside point of view. You cannot judge a Eastern Europe woman for not being feminist, when this has never been an issue here – women worked and voted the same way men did. Sometimes when it comes for some casting controversy like people cast Indian to play Arab character, the only people offended and vical about it are the white americans and god knows for that. Judge modern American shows for feminism as much as you want, but don’t expect the rest of the world to care that you have gender inequality problems or eating too much doughnuts. People should really stop imposing on everyone. Here in the west it’s getting really bad. Some people will not rest until they have sucked the fun and character out of everything. There are some issues that really do need to be discussed and dealt with, but some people take this to extremes and end up alienating potential allies. I remember when some American fans were bashing on episode 4 of the old show. A show done in 1992, in Japan. How can you blame it for not complying with social norms of 2010s in the USA. All the fat shaming done in American shows at the time was way worse. Tjen people started criticizing on new Crystal designs for being too thin. Japan has ideas and society. They address their problems in their shows, but obesity is not one of them…. Well I remember back in 1995 I thought what they did in that episode seemed to send a bad message based on the kind of stuff people like to tell children but that’s not to say other types of show wouldn’t have done the same. “Fat jokes” in 90s comedies were pretty common as Will Smith’s jokes about “Uncle Phil” show. Really, the messages can sometimes be bad. But I don’t think Sailor Moon (or most shows) were trying to be teachers, just fun. I mean, look at the shows from the (supposedly) great 40’s, 50’s and 60’s! Looney Tunes were anything but good rolemodels! I know Usagi’s chubbiness was played for laughs, and I have been where she was in that episode on several occasions. If there was a message in that episode I guess it was along the lines of be more careful with how you perceive yourself. Some people do just like to complain though. I wonder what the worst message in any Sailor Moon episode ever was? Worst message in Sailor Moon… Well I can think of two, but it is also kind a overthinking it…. First it was episode 46 where Mamoru was brainwashed and physically abused her but she neer gae up on him. It is a stretch to think like that, but in way it was like promoting putting up with emotional abuse. The second one though is something I am really troubled with. Giving a second chance to the Amazon Trio and forgiving them didn’t seem right to me. They were basically sexual predators, iolating teenagers, at least one elderly woman and even a kid. The Amazon Trio are pick up artists who try to seduce women through deception and then take what they want by force when they can’t get it. It’s hard to forgive that for sure though their final episode was a very good. I think it was meant to be funny because we know Sailor Moon is the one constantly saving him. However, you do make a good point that he brings benefits to the dynamic, and he does have helpful powers and words (especially in the manga). I think of him as the equivalent of a support class character. He’s there for buffs and disruptions. Oh, and love. Moral and emotional support! Similarly Luna and Artemis don’t often get scrappy but they do contribute in their own ways.